My son started back to school this week, so this gave me a little chuckle. Until next time, Good day, and good dog! Related PostsFriday Funny: School’s Back in SessionFriday Funny: Fishing for DogsFriday Funny: Dog FeetFriday Funny: Smart Dog!Friday Funny: Paternity TestingFriday Funny: Some Guard Dog You Are! This is a post I never imagined I’d have to write. Some of you may have already seen my update on Instagram yesterday. For the rest of you, here it is. On Tuesday morning of this week, Emmett’s 7 month birthday, he was diagnosed with a rare, serious form of Epilepsy. The only symptom was an occasional random head nod he’d had on and off for a few days that we decided to have checked out by his pediatrician, just to be safe. Long story short, after an immediate trip to a pediatric neurologist and an EEG, we were given a diagnosis, and spent the rest of the week in the pediatric unit of Northwestern/CDH hospital. 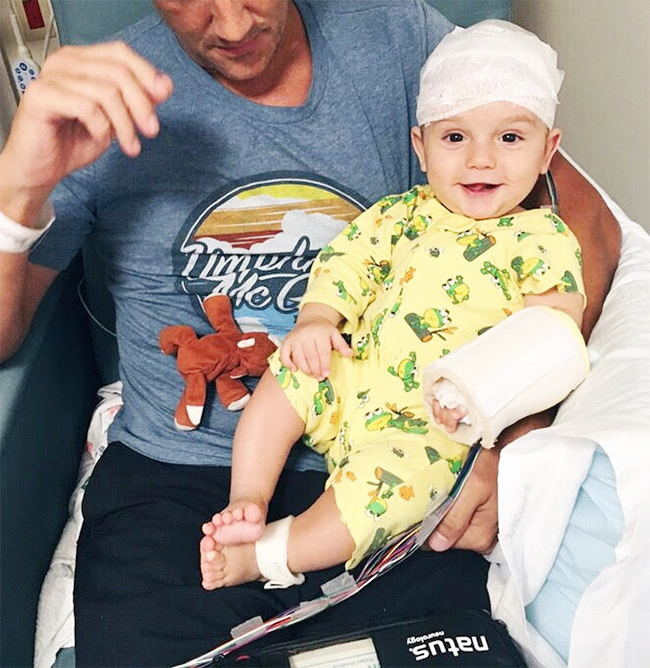 The prognosis for this specific type of epilepsy is very poor for the vast majority of the cases – but most of the tests we’ve had done, along with the facts that Emmett is developmentally where he should be for his age and we caught it very early, are positive signs. They have also found no cause for this with Emmett (which is actually a good thing with this specific disease). His time in utero and life up to this point have been perfectly healthy. Whatever your beliefs, please channel good energy, pray, manifest, meditate, focus on healing vibes for our little boy. I believe in the power of positive collective energy – I have seen it work. The more people sending love and light his way, the more people praying, and the more people envisioning a positive outcome, the better I believe his chances are. We are so grateful for the support and love of our friends (internet friends included) and family right now. We feel lucky to know so many kind, compassionate people who care about our family and our son. I am terrified. This is hell. But I believe. Just like I had a strong maternal instinct that told me something was wrong when it looked like absolutely nothing, I have a strong instinct telling me that Emmett is going to pull through this and be one of the exceptions. Hang on! Wait! Just because your dog tests positive for Lyme disease in the vet’s office does NOT mean you need to treat with antibiotics! My sister and two friends of mine recently took their dogs to their vets for an annual exam. All the dogs seemed totally healthy and had no complaints at all. Their vets did a quick office SNAP blood test for Lyme disease (the tick borne disease endemic across the East Coast and much of the country) and the dogs tested positive for Lyme. All three of their vets prescribed those dogs a month’s worth of doxycycline to “treat” the Lyme disease. But those dogs probably did not have Lyme disease!! Dogs that do have Lyme disease show some or all signs of the illness: lameness, fever, enlarged lymph nodes, lack of appetite, lethargy. I continue to be frustrated and baffled that so many dogs who are tested for Lyme (as they should be) are often prescribed drugs that they do not need 95% of the time. As you will hear in the interview below, Dr. Donna Spector explains that experts in the field estimate that 70-90% of all healthy dogs in areas with the disease will test positive for it – without having Lyme disease. 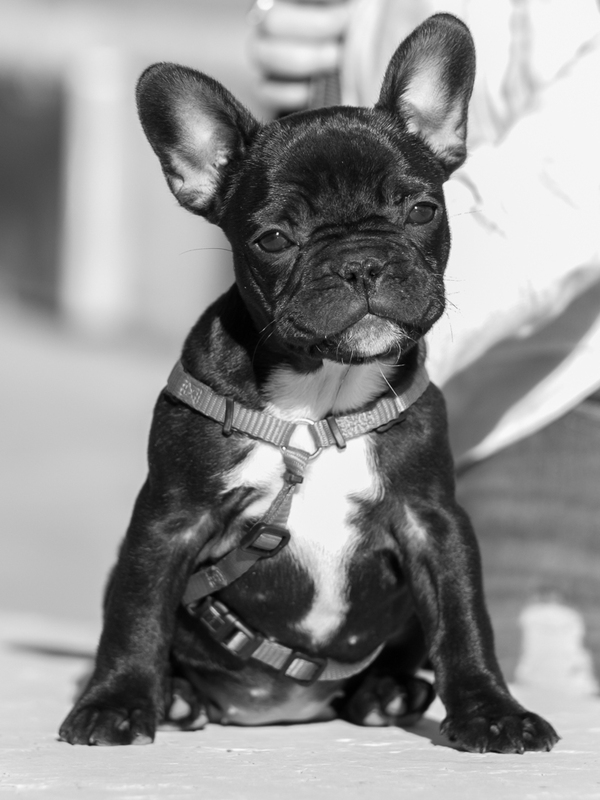 Only 5% of dogs exposed to the bacteria will ever get clinical signs of it – in which case the dog would need those antibiotics to clear the bacteria from his system. I urge you to listen to my conversation with Dr. Donna Spector – the board certified veterinary internist who is my co-host on our Radio Pet Lady Network show The Expert Vet. She came on Dog Talk last year to help clarify widespread confusion by owners and vets in how to interpret and manage test results. Dog Talk (05-02-2015) #419: “Everything you need to know about Lyme disease and might have to educate your own vet about.” Dr. Donna Spector, Tracie’s co-host on the Radio Pet Lady network show THE EXPERT VET brings everyone up to date on the when/why/how of Lyme disease. As you will hear in this interview, Dr. Donna explains that a positive test generally means that a dog has been exposed to the bacteria that causes Lyme (because you live in an environment that is endemic to the ticks that carry it) and their body has mounted a successful immune response to the bacteria. That’s actually a good thing! She also explains that experts recommend that you test the urine of a dog with a positive Lyme test to make sure there is no protein in their urine. That can be the earliest sign of the illness and can actually result in kidney failure and even death if not diagnosed and treated. You never know what you’re going to see on live television, including an adorable stray kitten crashing a newscast! According to Buzzfeed, that’s just what happened in Detroit one Monday morning when WXYZ-TV Channel 7 reporter and anchor Nima Shaffe was wrapping up a segment in front of the local sheriff’s office. Shaffe was surprised to look down and see a tiny marmalade and white cat boldly approach him and begin meowing incessantly. “She was scurrying about underneath cars and meowing really loud,” Shaffe told Buzzfeed. Read more about Lucky Seven. I want a French Bulldog …! I almost can’t believe I’m saying this, but Essley starts preschool in just a few weeks. (Wait, didn’t I just give birth to the kid, like, last week?) And while I suppose I can’t really use the term “back-to-school” to apply to us, since this is technically our first school adventure and it’s not like we’re going back to anything, we’ve been getting into back-to-school mode around here. The preschool Essley is attending is part of the public school system here, so it follows the same calendar as older grades and has some of the same requirements in terms of school supplies, etc. So while it’s only a two day a week program and the students are all two-and-a-half and three year olds, it feels pretty official. I’m admittedly both excited and nervous, as I always tend to be with “first times” when it comes to my kids, and we want Essley to look forward to going to school, so we’ve been practicing a routine that, naturally, begins with our mornings. I work from home so we’ve gotten pretty used to leisurely mornings that often involve moving slowly, making semi-elaborate breakfasts (especially when Robbie, our house chef, is home between the band’s tours), and lots of time spent in pajamas. 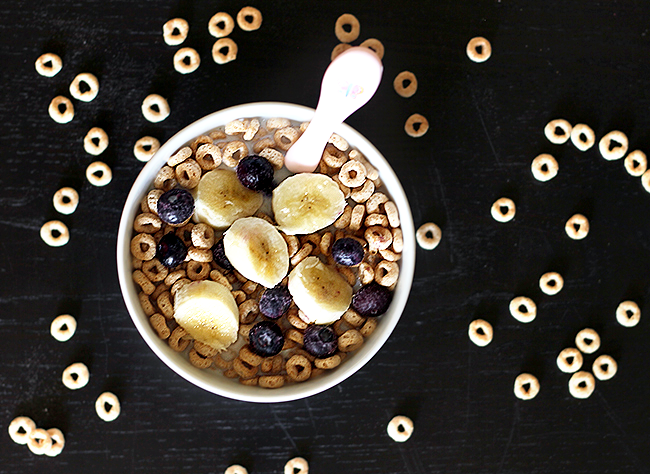 Recently we’ve breaking out of that mold in preparation for school by getting dressed and washed up right away, and eating nutritious but simple breakfasts that take less time, like Essley’s favorite, Cheerios with organic fruit. After breakfast Essley usually runs directly to her backpack, puts it on, and loudly proclaims that it’s time to go to school. 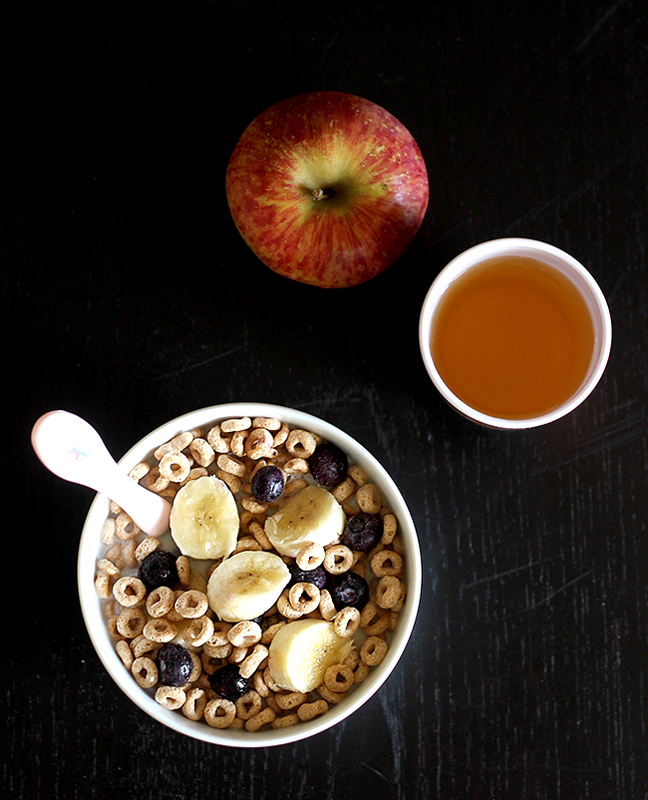 Establishing this morning routine has been beneficial for all of us. It’s actually kind of fun. We’ve also been preparing for the back-to-school mornings (and school in general) by shopping for breakfast and after school snack items at Costco. 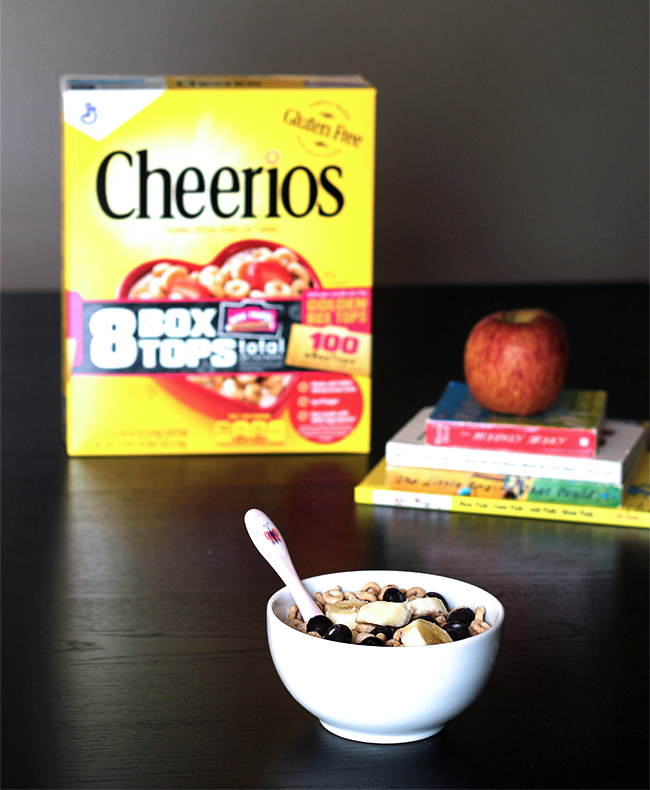 In addition to having everything we need, Costco is currently running a really cool Box Top special called the Golden Box Tops Challenge, where, by purchasing specially marked General Mills products with 8 Box Tops (like Essley’s beloved Cheerios), you can enter to win an additional 100 eBoxTops (!!!). 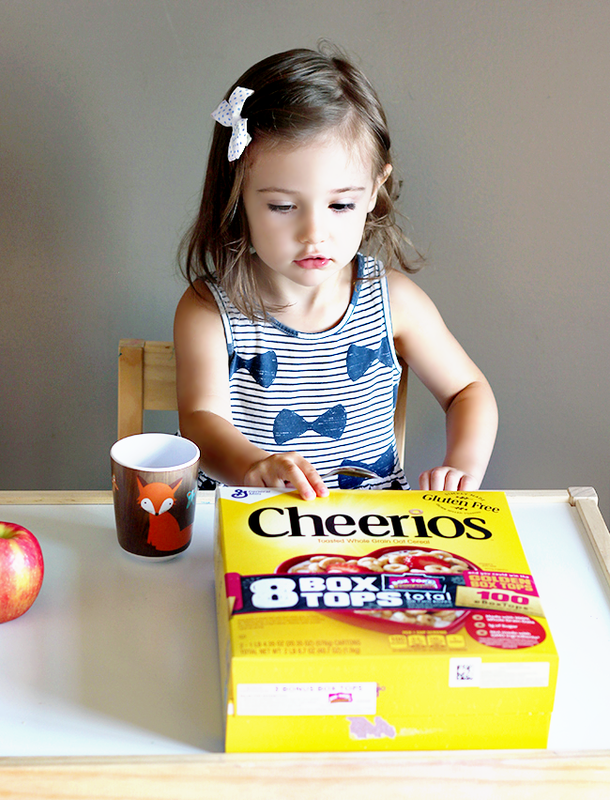 This may be our first year but we’re already well aware of how Box Tops help raise money for and bring major classroom benefits to schools, so this is a really wonderful way for us to get ourselves prepared for getting involved, even at the Pre-K level. 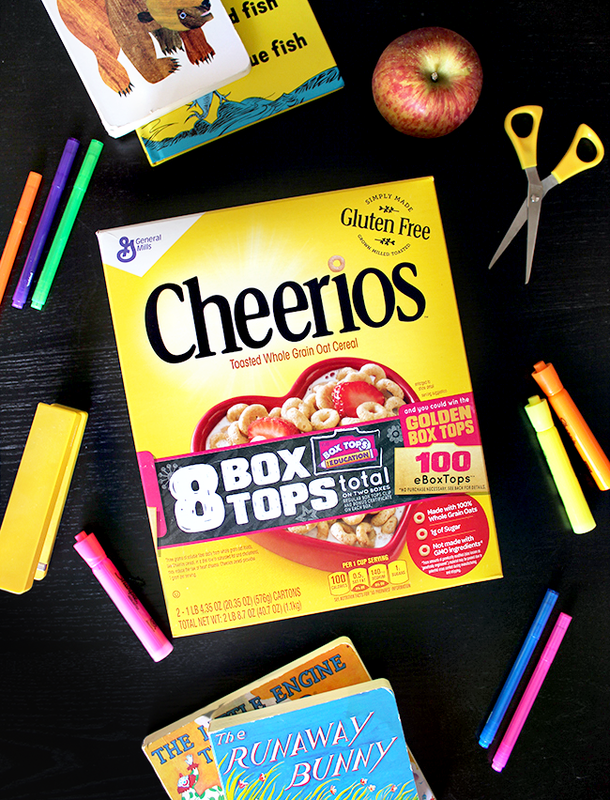 And if you don’t have a lot of extra time or money to devote to your kids’ schools, Box Tops are an incredible way to contribute through items that you already have on your grocery list. We’ve also been teaching Essley how Box Tops can help her school, and together we make a game out of cutting them out and putting them into a basket that she’ll be able to bring to her school later on. We have also, of course, entered the Golden Box Tops Challenge. You can enter too! Just click here to learn how, along with more about the prizes and participating products. We think it’s pretty great. 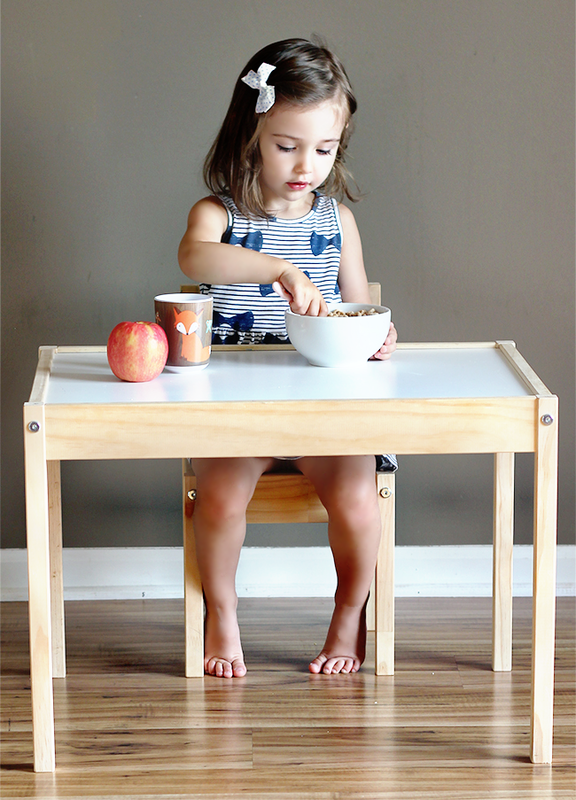 While I’m by no means a back-to-school expert (you honestly can’t get more “beginner” than me if we’re being honest here), for my fellow new-to-school preschooler moms and dads, I highly recommend getting a head start on your school mornings if you can. Even our simple routine of getting up at an established time, getting dressed, making and eating an easy but healthy breakfast, brushing teeth, and encouraging Essley as she pretends to head to school for the day, along with other back-to-school activities like participating in Costco’s Golden Box Tops Challenge, has made the whole experience feel like a something to get excited about instead of dread. New Leash on Life, an animal welfare organization located in Lebanon, TN, is dedicated to improving the welfare of companion animals in the community through shelter, placement, spay/neuter, education and awareness. In addition, they provide pet food assistance to citizens in the community who are in need and assure their animals have what they need. Halo is proud to partner with Freekibble.com and GreaterGood.org to achieve noticeable results for pets together. Thank you, New Leash on Life for making a noticeable difference for pets in your community!